Most people automatically think that the most cinematic experience they can have with their 4K TV is to turn all the lights off and close the drapes. Naturally, you don’t want light streaming in from outside sources to cause glare & distraction, but the DreamScreen presents a third option. Design specifically for 4K screens, it’s a 360-degree LED system that reacts dynamically to whatever your watching or listening to, upping immersion and creating a truly theatrical environment. Like any advanced tech, it’s not cheap. But right now there’s a sale for Daily Caller readers—8% off for screens up to 70″ at $329.99, or 6% off for screens up to 130″ at $369.99. Think of DreamScreen like stage lighting. 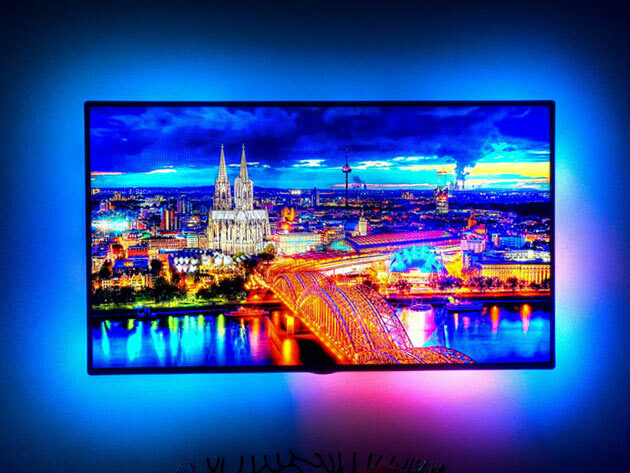 It’s not an assault on the senses, but rather a garnish which accentuate’s your media—LEDs behind your TV subtly react to the particular color pixels on your screen during video mode, and 4 different audio visualizers come standard to sync up your tunes of choice in music mode. There’s also a number of ambient scenes to select from to add atmosphere when nothing’s playing, and all of this can easily be controlled via the included companion app. 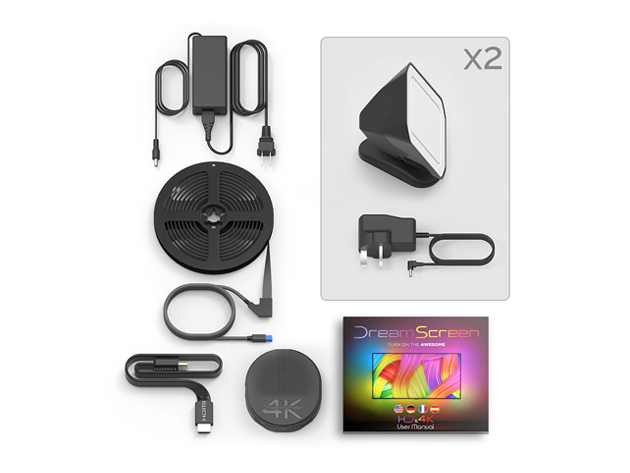 If you’re a TV experience buff who wants to add that special something, take a look at the DreamScreen on the shop—currently 8% off for screens up to 70″ at $329.99, or 6% off for screens up to 130″ at $369.99.